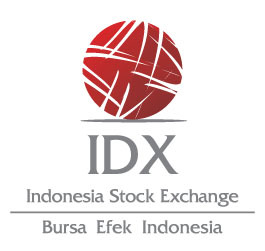 Network and Technical Support Officers are one of the digital warriors in IDX. You will be responsible for analyzing the requirements of software and hardware, handling applications, databases and infrastructure at the office, perform maintenance of applications, databases and IT infrastructure to business and office systems, preparing technical specification requirements of software and hardware. Bachelor degree in Information Technology/Computer Science. Minimum 1 year experience in related field. Knowledgeable about database, OS Windows, Linux, network and tools monitoring. Good communication in English both oral and written. The core focus of this position will be responsible for arranging the scenario of infrastructure and application testing to meet business process and application requirements. You will coordinate across team and get new challenges every day. Minimum 2 year experience in related field. Prior experience in application/software testing and development. As a Data Analyst, you will be responsible for managing internal database and mining data from a database with SQL language. Here at IDX, you will be architecting a platform to turn millions of events into actionable insights and data-driven products. Hands on experience in SQL and database. Good communication skills in English both oral and written.